This one was deemed (by myself) to be too hard to use elsewhere. And then I forgot to post it yesterday. So here. Update: Fixed the typo in Pentomino Kakuro. New PDF uploaded. No other change. Update: There is an erratum published on the IPC site that says the 2×2 restriction applies to Happy Dots too. 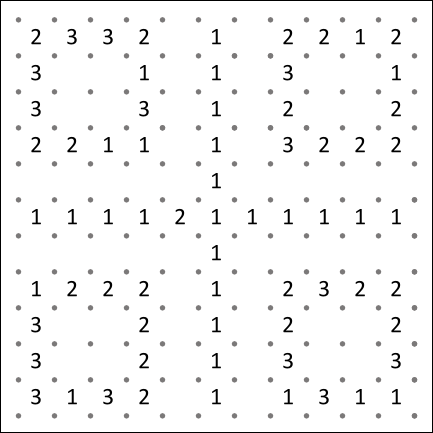 Since the practice puzzle in the PDF still gives a nice practice for placing the dots and forming regions, and only uses 2×2 regions minimally, it stays the same in the PDF. We’re sorry for the inconvenience. Right, took a while, but we’re finally there. If you’re still not aware, the Indian Puzzle Championship will be held on 7th July. Here are our (me and Swaroop) best efforts, with the main goal being to try to help the newer participants. 1. 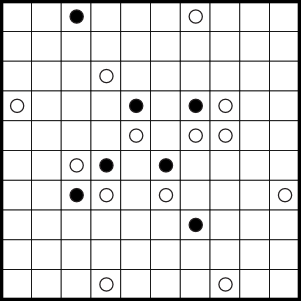 Practice puzzles for B1, B2, C, D, E2, F1, F2, G2, I1, I2, J1, J2, K1, K2, L1, L2, M2. 2. 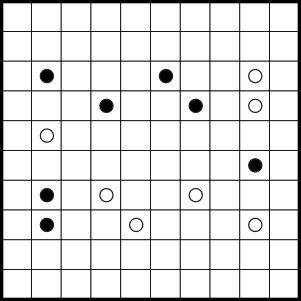 Beginner-level solving tips for all the puzzles in the set. 3. Solutions to all the puzzles in the set. 4. Links to other practice material, pattern guides, and other technical tips. I promised a liar slitherlink, so I haven’t lied there, but I’ve given you 10 clues that lie, so haven’t I lied there? So am I a liar or not? I can guarantee you this slitherlink is anyway. So after that embarrassingly lame opening, I’ll again link to the Indian Puzzle Championship and tell you you’ll get a better idea if you refer to the examples and rules there of what exactly I’m giving you here. Again, there were supposed to be more/better puzzles today, but I was busy making a deadline for my publishers, so had to create 3 for that. And then I messed up the graphics of the triangular As Easy As ABC. I may/may not have a part 3 up because of this. 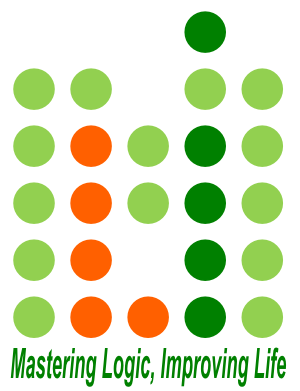 Draw a single continuous loop along the dotted vertical or horizontal line segments. Crossovers or branches are not allowed. Clues given inside the cell indicate the count of line segments surrounding that cell, that are part of the loop. Exactly one clue in each row and each column is false. It is part of solving to determine the liar clues. 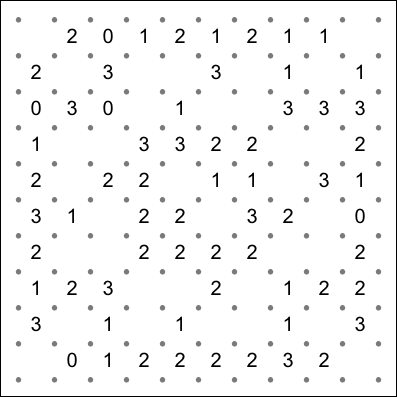 orthogonally adjacent to each other. I made 2 puzzles of this type, simply because I said “Oops” after the first one. …messed up CTC again…really unwell…blah blah…meh. Rated : So easy that even in my completely zombie-like state I test solved it in 2 minutes. Solution here. Password – ES. Puzzle No. 62-82 : My birthday puzzles! Because, even though I’m gonna be stuck in college on my birthday, doesn’t mean all of you shouldn’t enjoy yourselves. The regular readers of this blog will know, I’ve been struggling to even put up a single puzzle on most days. So in preparing this, obviously most would be easy, and some of them may even fall under the category of “Evil Zingers”. However, I do think quite a few of them are fun, and the last one is probably one of my best. Heh, anyway, you decide. That should do for today’s puzzle post I suppose. Enjoy! Update : Apparently the PDF is crashing for some people. The error is for some reason that it requires a Japanese Fonts plug in. For what its worth, I downloaded the same and its completely fine. 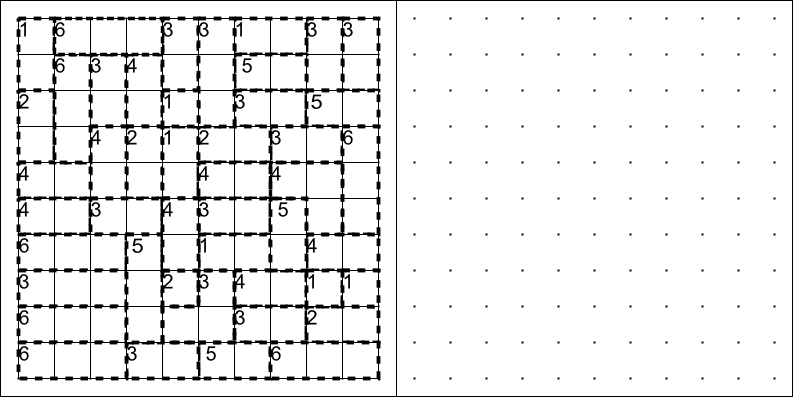 But of course, you may want an alternative, so I’m uploading just the PNG formats of all puzzles in the rar file, with a txt file for the rules and descriptions. The solutions PDF is fine I suppose. Well, I’m just about gonna get this in before midnight! 🙂 Very very busy day, had a screening to go too as well, unfortunately United lost. Ahh well, one of those days. Anyway, a common reaction I hear from my friends is, “I have no clue about most of these” . So here’s a nothing-fancy slitherlink. You should have a clue about these, they come in the newspaper(lot easier than this one though I suppose!). Edit : Fixed a couple of errors. Its fine now. Now to today’s puzzle. I’m quite happy with this variation. This is a Slitherlink puzzle, with a twist. 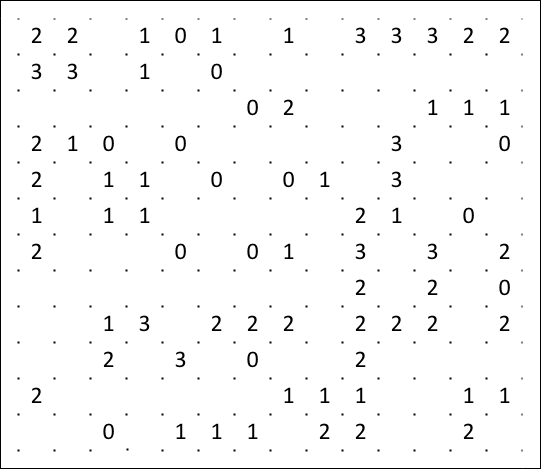 The numbers in the cages specify the sum of the digits that’ll be entered into them, among 0,1,2,3. Numbers cannot repeat in cages but can obviously repeat elsewhere and be adjacent from different cages and all that. 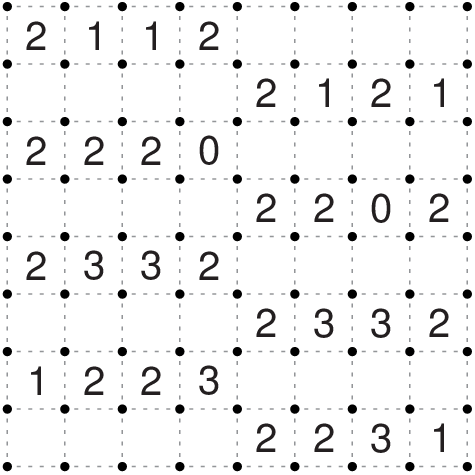 The object of it is to fill the grid and solve it as a Slitherlink at the same time. Since it may be tedious to draw a loop with the cages around I’ve provided an empty grid too. Rated : Medium since its a first timer. Construction and Solving tips added. Password – KS. Enjoy! While we’re on the firsts, this is my first Slitherlink puzzle. Rated : Probably-just-about medium. Solving tips added. Password : 10. Enjoy!